Steam rooms are the hottest trend for homeowners wanting to create a luxury spa experience at home. Steam has many therapeutic benefits including easing muscle tension, improving circulation, deep skin cleansing and generally improving your well-being. However, it is important to remember that a steam room or steam shower requires a specialist glass enclosure. This is because steam gets hotter and permeates more easily than water does. If too much steam escapes, you will not only waste water and electricity maintaining the temperature, you also won’t benefit as much from the benefits of the steam. For full steam containment and effectiveness, the enclosure must precisely manufactured and fitted to be totally steam-tight. 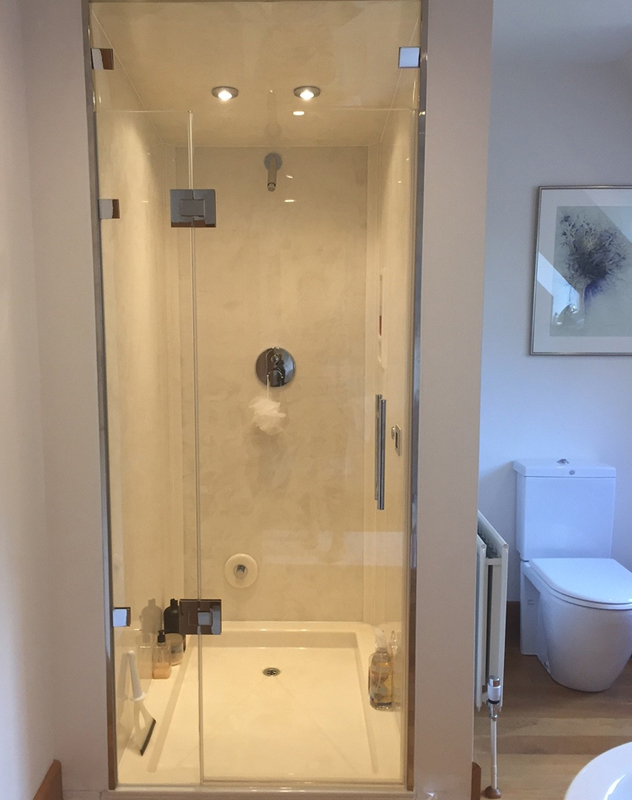 When we are asked to design, manufacture and install frameless glass steam shower enclosures, clients often ask whether a transom is necessary or not. Steam rooms need to be perfectly sealed and watertight from floor to ceiling so the steam can accumulate. However, ventilation is vital in a steam room. So, it is a good idea to have an operable transom above the door of the glass enclosure. The transom will act like a vent and can be opened to release hot steam or kept tightly closed to keep the steam in. This will allow you to control the temperature and humidity without needing to open the whole door. The moveable overhead glass transom also allows ventilation to the area when the steam room is not in use. This enables the space to dry quickly, preventing mould and mildew forming. It is vital to use a specialist glass company for your steam room. At Showerpower, we are often hired to design, manufacture and install bespoke, frameless glass doors, enclosures and cubicles for steam rooms and steam showers. You can find out more about our made-to-measure glass enclosure process here. If you would like more information about Showerpower’s bespoke glass steam room enclosure service please email us at info@showerpower.co.uk or call 01403 829020.